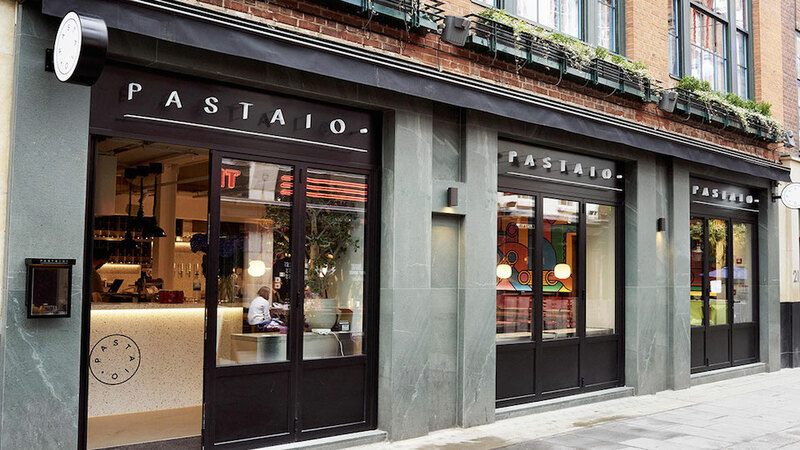 Handmade pasta that's delectably fresh and conveniently affordable is the calling card of restaurateur Stevie Parle's newest sensation Pastaio, located in central Soho. 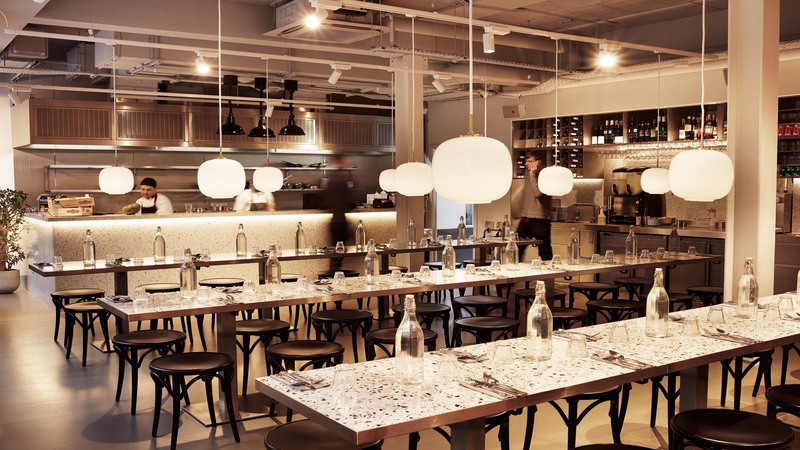 The restaurant is designed in a simple canteen-style layout, with terrazzo-patterned tables and stylish pendant lighting. It's subtle, elegant and modern, but with call outs to a more traditional Italian cuisine experience. Pastaio does not take reservations but when full they use a virtual queuing system: scamper off somewhere else for a drink and they'll text you when your table is ready. 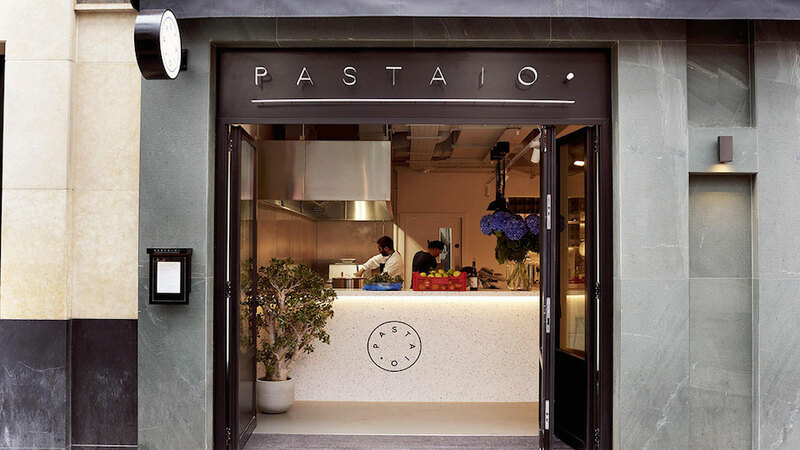 Pastaio changes up its menu frequently, however some recent selections give you an idea what to expect: think tonarelli cacio e pepe; potato and gravy ravioli; caserecce, pesto, green beans and potato; grouse, rabbit and pork agnoli; and long fusilli, crab courgette, yellow tomato & marjoram. Handmade pasta speaks to the freshness, but this is more than just big, bountiful Italian cooking. There's a determined attention to simple but high quality ingredients and savory flavor combinations. 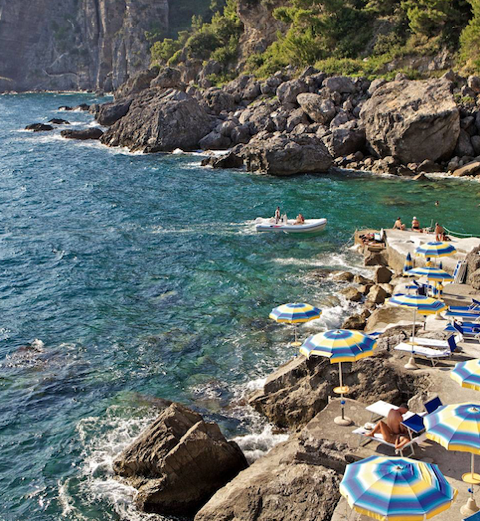 The all-Italian wine list is short (5 each of whites and reds) but punchy and carefully chosen. Ask for the prosecco slushie if you're feeling adventurous, additional Apertivo cocktails are also available. Save room for dessert and choose from a handful of Italian sweets classics: tiramisu, chocolate cannoli, olive oil and amaretto ice cream.